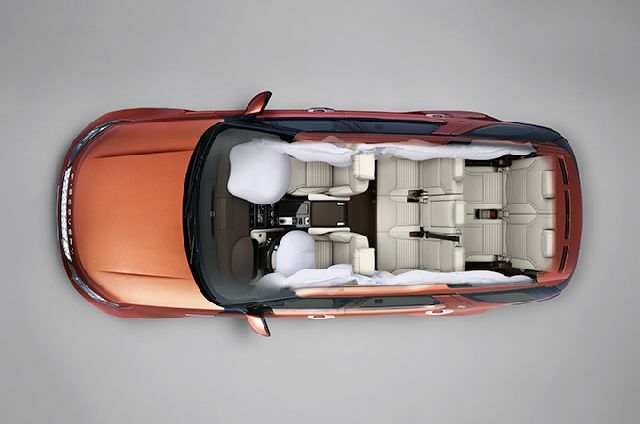 The optional panoramic roof enhances the sense of space in the vehicle’s interior and floods it with natural light, including the third row of seats. Importantly, the toughened glass has a dark tint to maintain a comfortable temperature inside the cabin. Powered interior blinds are also provided for additional privacy or shade. 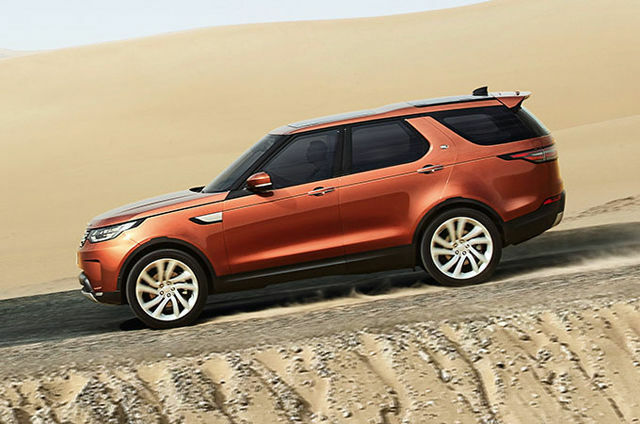 Discovery's seven full-size seats truly exemplify comfort and versatility. With optional Intelligent Seat Fold this allows you to configure the second and third row seating using cargo space switches or on the main Touchscreen. You can remotely configure the seats when you’re not actually in it, via the InControl Remote smartphone app. 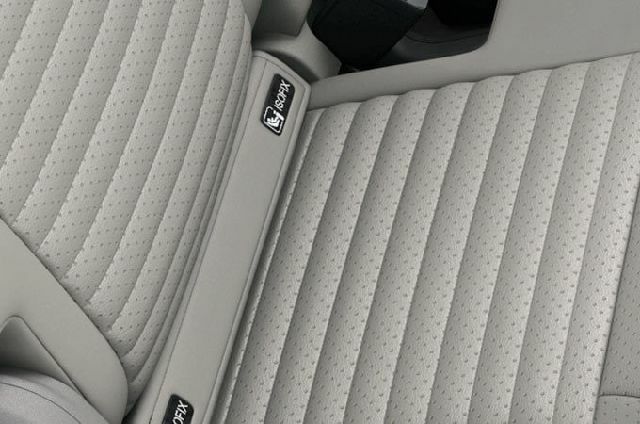 The Remote Intelligent Seat Fold Pack allows you to do so away from the vehicle. 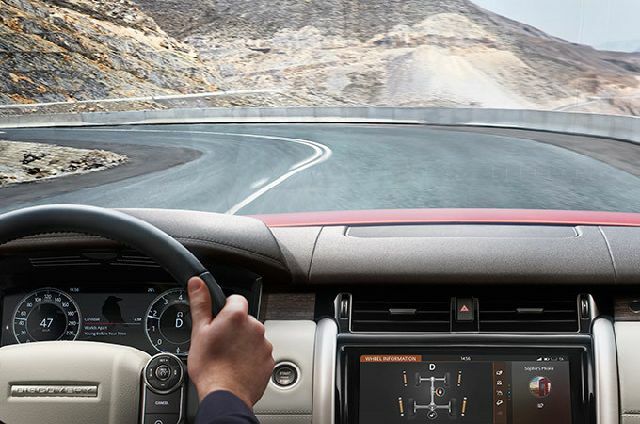 The enhanced next-generation Head-up Display** presents key vehicle data including your speed, gear position and navigation directions, on the windscreen. It features full-colour, high-resolution graphics, enabling you to see relevant information with ease. **Requires infrared reflective windscreen in some markets. 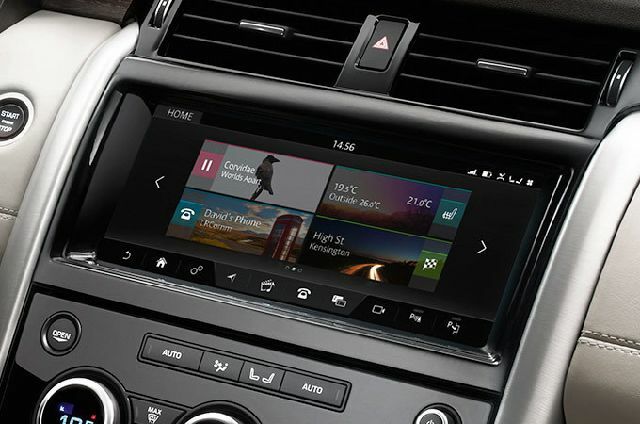 The very latest infotainment technologies have been incorporated to deliver the highest levels of entertainment, connectivity and information. From the choice of Meridian™ sound systems to innovations such as Touch Pro and the optional Rear Seat Entertainment System, there’s a world at your fingertips. With seven full seats across three rows, flexible seating and optional heating, cooling and massage functionality – however you configure the clever use of space in Discovery, you’ll always have room to relax. Each and every passenger in Discovery enjoys a truly comfortable ride, with a generous amount of legroom offered. Those in the second row will find they have 954mm, whilst in the optional third row, a plentiful 867mm is provided. There’s ample room for up to seven adults to travel in comfort. Cabin air ionisation can improve the air quality within the vehicle cabin, reduce allergens, viruses, airborne bacteria and odours. It can do so by ionising particles in the air, making them attract to surfaces and thus help cleanse the air. From the upper and lower glove box on SE, HSE and HSE Luxury, to central armrest stowage with an optional chiller compartment and space for two iPads, two litre bottles or five iPad minis – you’ll find space in places you simply wouldn’t expect. To ensure that the interior is maintained at your perfect temperature, Discovery features a highly efficient climate control system. The optional four-zone automatic system ensures everyone in the cabin can adjust the temperature in their individual space for greater comfort. 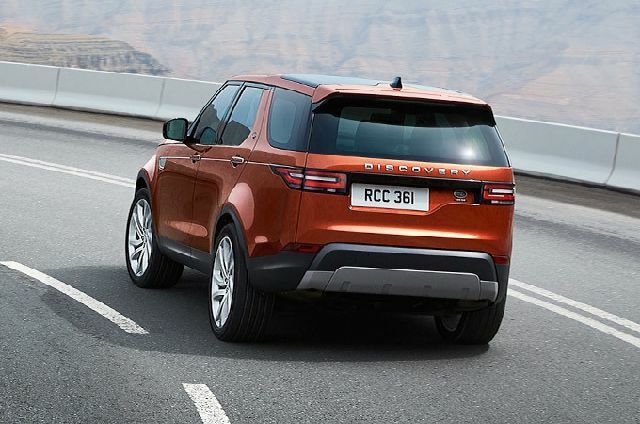 Discovery is packed with charging points which are available for all three rows of seats**. So no matter where they sit, every single passenger can stay entertained; whether on their tablets, mobile phones or other devices. By maintaining a constant speed and applying braking separately to each wheel, Hill Descent Control (HDC) takes all the strain out of negotiating those difficult slopes. 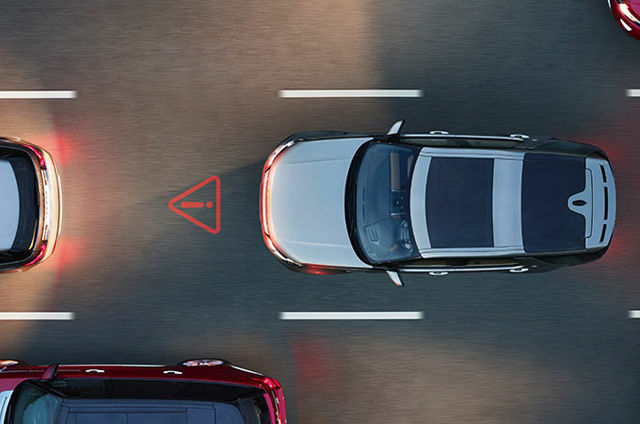 Optional Advanced Tow Assist allows you to control the direction of your trailer and your vehicle when reversing by using the rotary Terrain Response 2 controller. 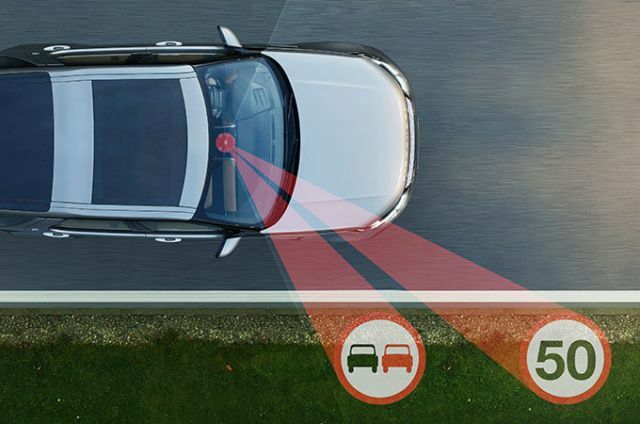 When a tow bar is fitted the system will then control the vehicle's steering to achieve the desired trailer trajectory, which is displayed with the current trajectory on the infotainment Touchscreen. 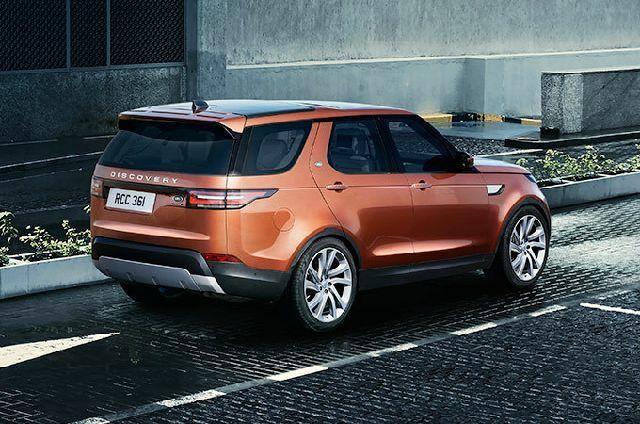 With a state-of-the-art aluminium monocoque body, Discovery enjoys greater levels of performance, together with improved strength, sustainability and efficiency. 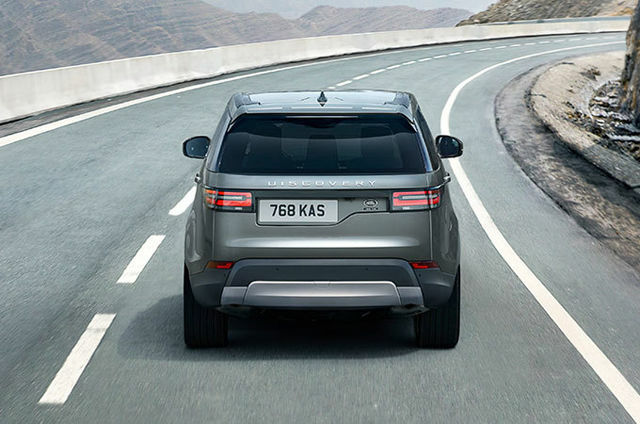 At up to 480kg lighter than its predecessor, and utilizing the latest in materials and build technologies, the vehicle can readily take the knocks associated with off-road driving. Discovery incorporates sustainable design with intelligent material choices. 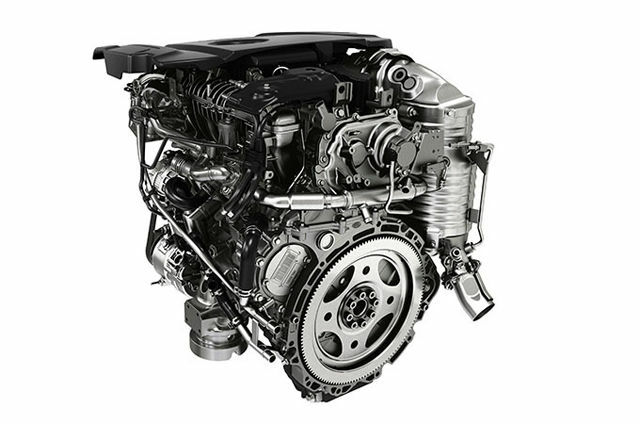 The use of aluminium in the body structure allows a 9 percent* reduction in CO2 emissions over its life cycle. Our closed-loop aluminium supply chain also ensures any surplus high-grade aluminium from our sheet stamping process is re-used.